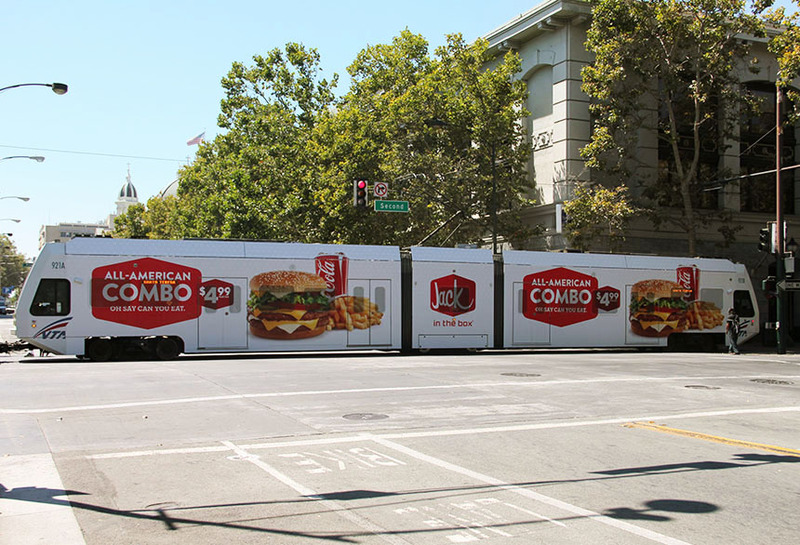 Jack in the box advertised their combo meal deal using Lamar transit. Their full wrap rail creative used the color of the light-rail to their advantage so that their images reall popped and were noticed by potential consumers Aurora. IL.